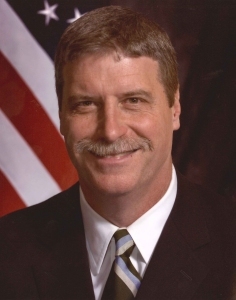 It looks like New Orleans U.S. Attorney Jim Letten, a Bush appointee, will be sticking around. Reporter Bruce Alpert of the New Orleans Times-Picayune reports that Sen. David Vitter (R-La.) said after meeting Thursday with Attorney General Eric Holder Jr. that he expects the Justice Department will soon “make clear that Jim Letten” will keep the job. Letten has the support of the state’s Democratic Sen. Mary Landrieu. Posted: 1/29/10 at 1:01 AM under Milestone, News Story.